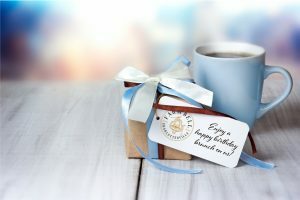 Let us TREAT YOU TO BRUNCH at Farm Bell Kitchen on your birthday! Sign up here to receive an email voucher for birthday brunch! If you cannot join us on your actual birthday, then you can redeem your printed voucher for a complimentary dessert during the week of your birthday. Who says there’s no such things as a free brunch?